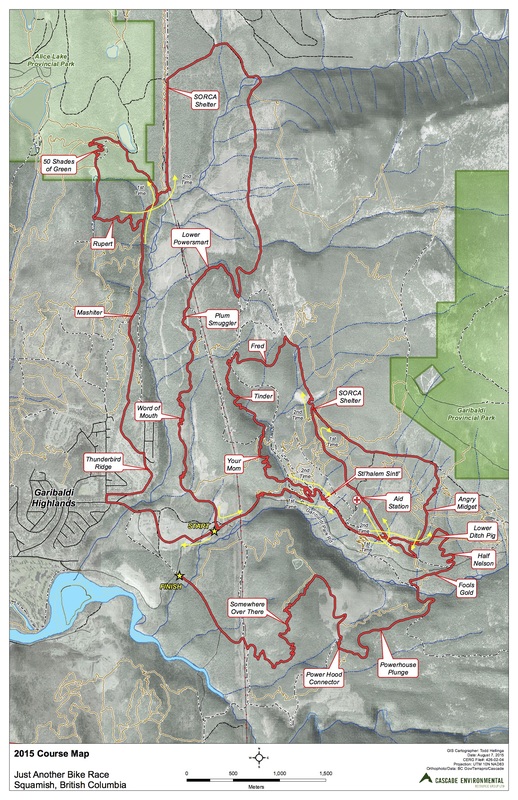 The approximately 47km course is set amongst the epic trail networks in and around the Highlands of Squamish, BC. JABR is a ‘MUST DO’ race featuring some of the finest single-track trails in Squamish. You will be rendered speechless with glee when barreling down the infamous Angry Midget, in awe of your own prowess with the steep Somewhere Over There, charged with the classic lines and curves on Word of Mouth and the dependable, much loved good ol’ Your Mom . JABR is part of the Test of Metal Events which consists of the following races: Orecrusher, Test of Metal, GearJammer and Just Another Bike Race.